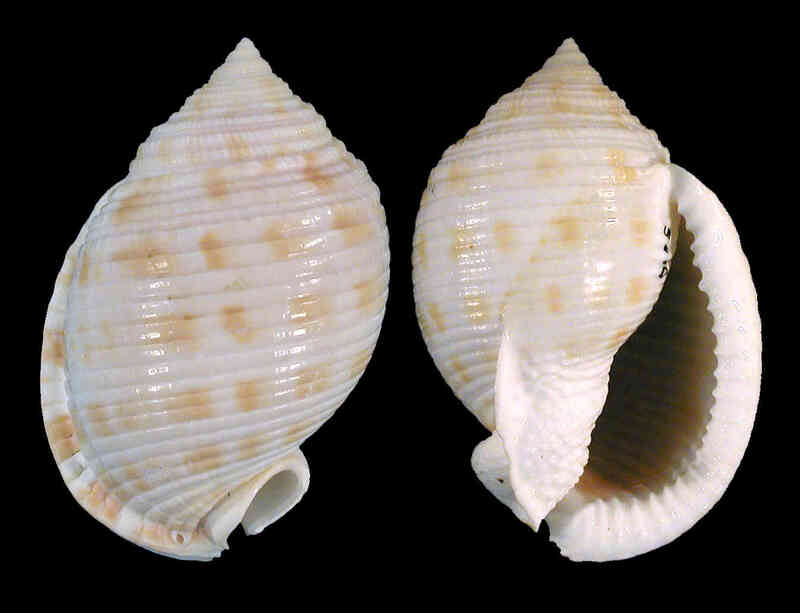 Shell size to 90 mm; shell ovate, with five whorls. 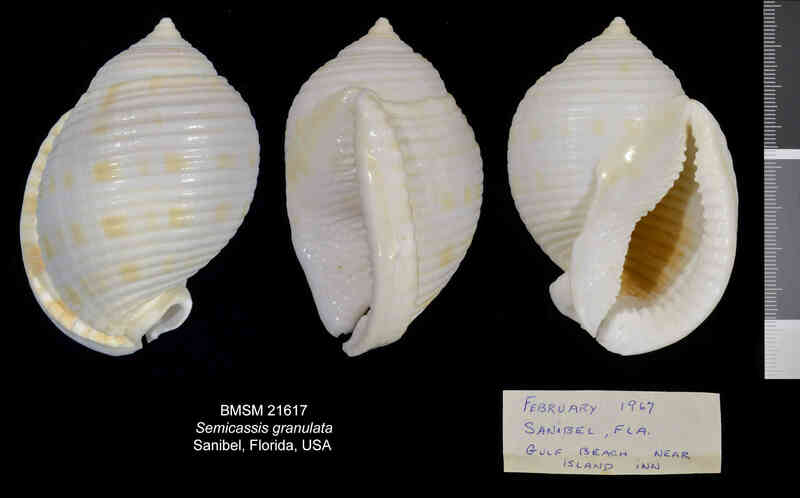 Shell sculpture of fine spiral grooves. Anterior canal bent dorsally. Parietal area with numerous, small tubercles. Outer lip thickened, with internal denticles. Color white to light tan, with rectagular brown spots.